Ireland announces it will expel an Israeli diplomat over forged passports in the January assassination of a Hamas terrorist in Dubai. Ireland has joined the European Union bandwagon of blaming Israel for the Dubai assassination of a top Hamas terrorist and announced it will expel an Israeli diplomat in retaliation for the alleged use of its country's passports last January. International media are reporting that the diplomat is an agent with Israel's global intelligence agency, the Mossad. A second EU nation, Britain, expelled two Israeli diplomats over the operation in March. The January 19 assassination of Mahmoud al-Mabhouh, one of the founders of the Hamas military wing, Izz a-Din al-Qassam, was blamed on the Mossad. However, as is consistent with government policy, Jerusalem refused to confirm or deny the involvement of the agency in the murder, which was carried out in a posh Dubai hotel. Mabhouh was assassinated on the eve of a scheduled meeting allegedly to arrange an Iranian arms deal for the Hamas terrorist organization in Gaza. He was considered a key figure in the smuggling of missiles from Iran to the region. He was also responsible for the kidnappings of IDF soldiers Ilan Sa'adon and Avi Sasportas more than 20 years ago. Irish officials announced Tuesday that investigators had reached “the inescapable conclusion that an Israeli government agency was responsible” for the slaying. However, Irish Foreign Minister Micheal Martin added that the diplomat who was to be expelled was not specifically being blamed for forging the passports. 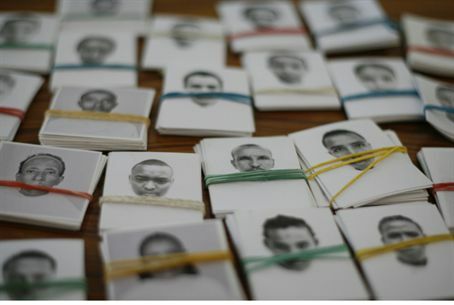 According to Dubai police, 32 fake passports were used in the operation, including eight that pictured fictional Irish citizens. Other countries whose passports were involved included Australia, Britain, France and Germany. Fallout from the operation continues throughout the European Union. Polish authorities meanwhile arrested Israeli citizen Uri Brodsky on June 4 in connection with the operation. According to a report published by the Der Spiegel weekly, Brodsky was picked up by German authorities on an international warrant issued by Germany. He was charged with assisting one of the 30-plus members of the hit squad to obtain a foreign passport. Nearly three weeks ago, Australia expelled the head of the Mossad office on the continent nation, saying four of its passports had been “deliberately counterfeited and cloned for use” by the agency. Australian Foreign Minister Stephen Smith said in a statement that investigators had proved “beyond doubt” that Israel had been involved in the operation in which its passports had been used. “This is not what we expect from a nation with whom we have had such a close, friendly and supportive relationship,” Smith complained, adding however that Australia “remains a firm friend of Israel” nevertheless.